Camping on board is available from 01.04.18 up to 31.10.18. 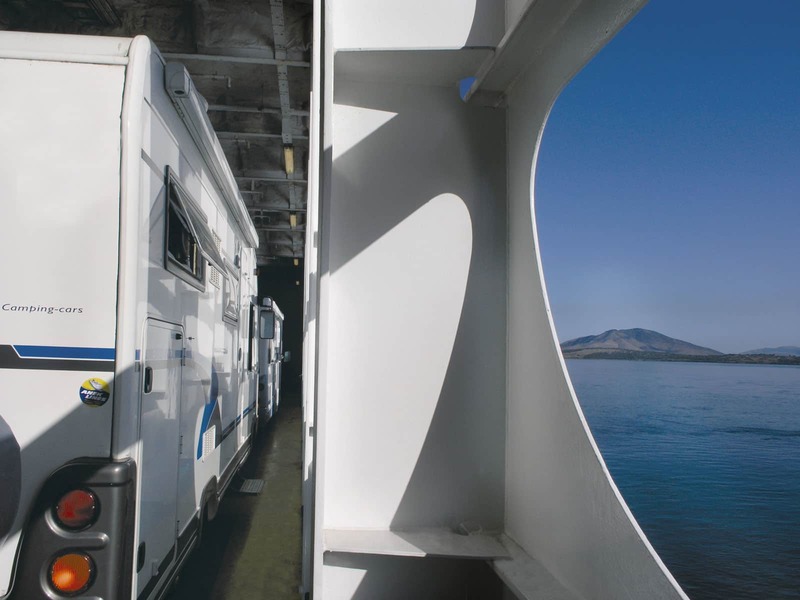 (Camping on board is not available on Italy – Corfu or v.v.). Passengers spend the entire crossing in the comfort of their own camper/caravan while taking advantage of our on board showers, WCs and 220-volt power outlets. Furthermore, they can have access to all public areas on board, such as bars, restaurants, etc. All, for the price of DECK accommodation, for the passengers and the respective vehicle fare. Gemide Kamp Hizmeti ASTERION II gemisinde sunulmamaktadır.